I’m pretty sure I have mentioned before how lucky I am that I have a Mama-Friendly workplace. School holidays are fortunately never an issue which is just as well as we are all parents of youngish children and our wonderful boss lets us rearrange our schedules to suit. I did mention to the owner of our company today that the holidays were a bit of a lucky dip as far as his workers go, he never quite knows who is going to turn up and when! Ethan has a swimming intensive this week, so everyday at 12.45 he is in the pool. He came in with me this morning before his lesson and the time just flew by. 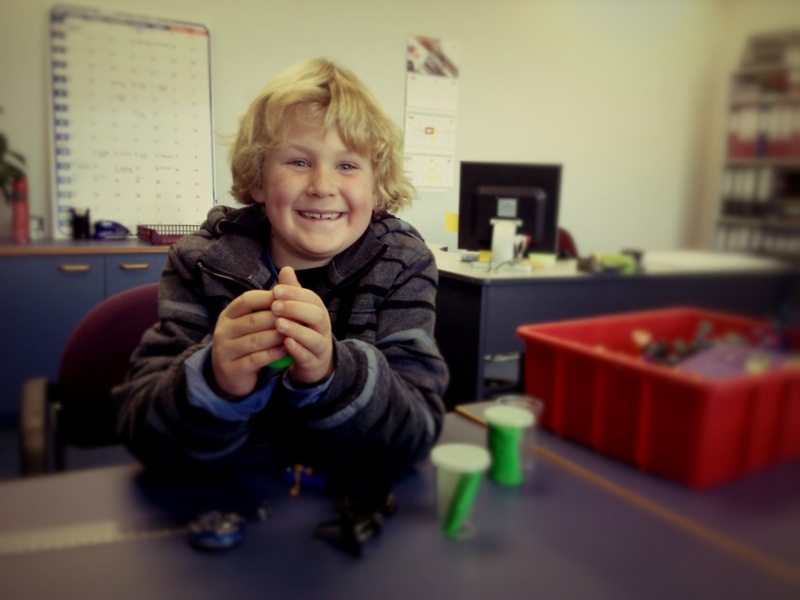 He gets all of the stationary out, relishes the fact that he can print Ninjago pictures in COLOUR, lounges in the empty office and watches Monster Bug Wars on YouTube…….. I made the mistake of showing him how the phone system worked today. He was much more keen to hang out downstairs once he could call me every five minutes just to check in and ask if I was ok and did I need him for anything. Cutie. He also called his Dad at work, wasted some of his time and really had a grand old morning playing receptionist! How do you manage the school holidays as a working or SAH parent?